By Audrey Golden. Jan 19, 2017. 9:00 AM. Did you know that the United Nations Educational, Scientific and Cultural Organization (UNESCO) has a “Creative Cities Network,” and did you know that only one city in the United States has been honored as a “City of Literature”? In short, the UNESCO Creative Cities Network has seven different fields through which it honors sites and cities across the globe, including for crafts and folk art, design, film, gastronomy, literature, music, and media arts. The only place in the United States that has been recognized for its literary significance is Iowa City, IA, home to the University of Iowa and the famed Iowa Writer’s Workshop. Want to know more about Iowa City’s literary status? Keep reading, and we’ll discuss the reasons that this place was selected as the sole UNESCO City of Literature in the states. How does a city receive a UNESCO Creative Cities Network designation? The city has to apply for this status. As the UNESCO Creative Cities Network application explains, candidate cities are asked to submit an application that makes clear which of the seven creative fields—crafts and folk art, design, film, gastronomy, literature, music, and media arts—are most appropriate to the city, and how the city aims to fulfill certain objectives outlined by the Network. Ultimately, the cities have to emphasize how they will develop in a manner that aids in UNESCO’s extended goal of “urban sustainable development.” As such, any candidate city must supply an “action plan” that makes clear how it will contribute. Why Iowa City as a UNESCO City of Literature? Iowa City has a long literary past. For more than 80 years, the Iowa Writer’s Workshop at the University of Iowa has trained some of the most prominent American writers. To name just a handful, the following are all graduates of the Iowa Writer’s Workshop: Sandra Cisneros, Rita Dove, John Irving, Gish Jen, Denis Johnson, Bharati Mukherjee, Flannery O’Connor, Ann Patchett, and Charles Wright. In addition to world-famous programs in fiction and poetry, the University of Iowa also houses the International Writing Program (IWP), which serves as a semester-long residency for international novelists, poets, and other writers. The IWP was founded by Paul Engle, another graduate of the Writer’s Workshop, in 1967. 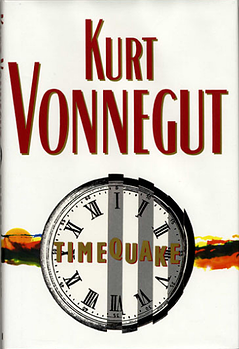 We should also mention that numerous other writers have taught at the University of Iowa and have lived in homes in Iowa City, with Kurt Vonnegut being among the most famous of them. So, Iowa City has a remarkable literary past. What plans does it have in store to fulfill its aims as a UNESCO City of Literature? The city has implemented the annual Iowa City Book Festival, a guided “Literary Walk” through the college town, writing groups, and other events to help foster literary appreciation. If you’re interested in learning more about Iowa City’s literary past and future, why not plan a visit for yourself? 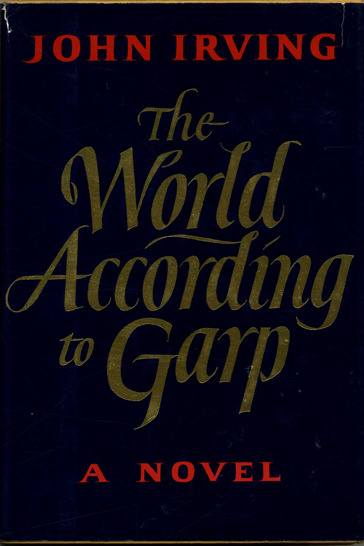 In the meantime, you might pick up a book written by one of the city's former residents, such as John Irving’s The World According to Garp or Kurt Vonnegut’s Slaughterhouse-Five.